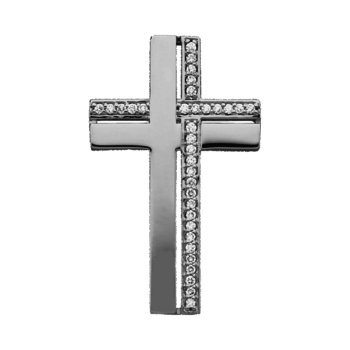 Platinum Dual Design cross pendant at PlatinumOnly.com. 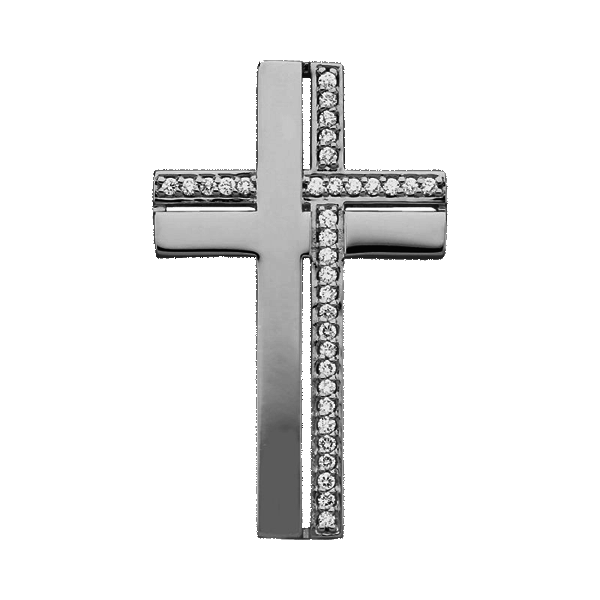 Gorgeous Platinum cross has a dual personality, half plain and polished and the other half set with diamonds. Diamonds total 1/4ctw and are SI 1 clarity G-H color.